OK, I haven't posted much lately. Well that's because my trip to Los Angeles is keeping me very busy at the moment. 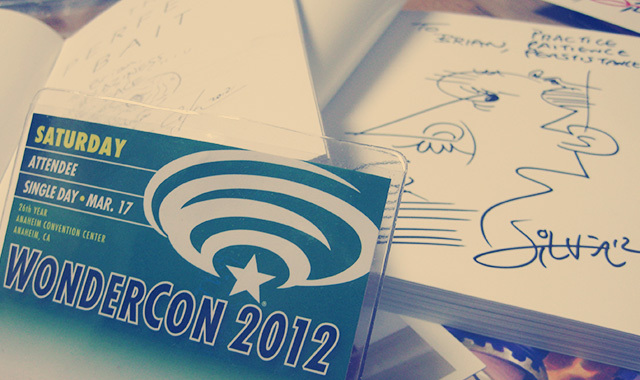 As I am in California, it was a great opportunity to attend Wondercon for the first time in my life. To be honest, I was not too sure of what to expect, but in the end I was pleasantly surprised. I attended a lot of the panel talks and some of them were very inspiring and taught me a lot about the process that some of the comic artists go through. There was a huge crowd as well, which shows that the comics industry is as strong as ever!